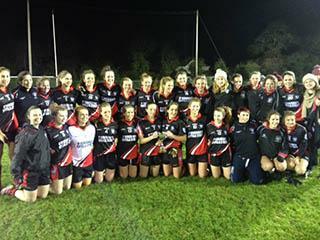 A brace of goals in the first half provided the difference as the Trinity ladies had a comfortable victory over IT Carlow in IT Carlow last Thursday night. Goals from Lauren McGregor and Ciara Sexton gave Trinity a seven point lead in the opening 10 minutes as Sarah Maguire kicked IT Carlowâs first point of the game after she was fouled. Another 1-1 from Ciara Sexton mid-way through the first half put Trinity well on their way to capture a win. Carlow points from Claire Tyner, Catherine Mcglew and Caoimhe Fleming attempted to reduce Trinityâs lead but it was all Trinity in the first half making it a 12 point lead at the break. It was a different IT Carlow side that returned to the pitch for the second half. The home side outscored the visitors in the final 30 minutes kicking 1-6 to Trinityâs 0-2 with substitutions Elaine Weir and Martha Coyle proving very effective for ITC. Three points from Carlowâs main scoring threat Sarah Maguire lifted IT Carlow spirits as Carlow dominated the final minutes of the game. Martha Coyle then found the net to condense Trinityâs lead once again with Aoife McGeough almost finding the Trinity net seconds later. 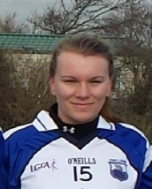 Francesca Corr stopped Trinityâs final attack as she saved on the goal line on the opposite end of the field. The full time whistle blew after Claire Tyner popped the ball over the black spot with Trinity returning to Dublin with a five point victory.